One of the World’s leading manufacturers of high performance steel doors and glazed screens, Fireblock create tailor-made solutions for each customers individual requirements. Combining expert design, high performance materials and cutting edge manufacturing processes, the Fireblock range is at the forefront of the industry. For nearly 20 years, Fireblock has been supplying the construction industry with the best in high performance metal doors and screens. The design team at Fireblock prioritise attaining maximum performance standards for all products, with careful consideration for aesthetics, durability and practical ease of installation. 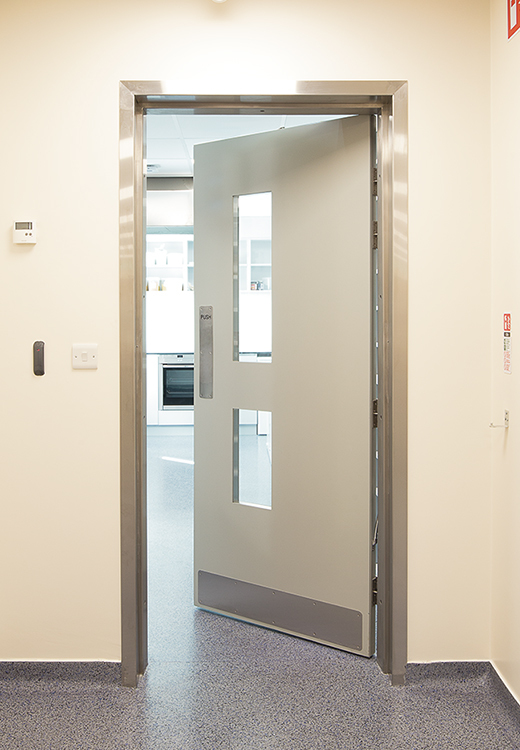 The quality of the Fireblock range of doors is the result of their exacting approach taken to manufacturing. • Glazed doors and screens. • Louvres and ventilation grills. Doorview are the exclusive distributor for the entire Fireblock range of doorset and screen products, supplying Fireblock products to the whole of the UK. Established in 1998, Fireblock manufacture tailor-made door and screen solutions to suit each customers individual requirements. Based in Ireland, Fireblock continually invest in the most advanced CNC fabrication facilities to improve their manufacturing capability, which is accredited to EN ISO 9001. Continual investment in product development and testing is at the forefront of every product in the Fireblock range. • Every Fireblock doorset has been tested by Exova (UK) Ltd, the leading third party testing facility, and complies with the performance criteria of BS 476 Part 22 1987 and EN 1634-1 2000. • The Fireblock range provides fire resistant doorsets of up to 300 minutes for hinged and sliding doors, latched and unlatched, with or without glazing apertures. • Doorsets are also available in 30, 60, 90, 120 and 240 minute fire ratings. From 1 July 2013 the Construction Products Regulations became mandatory in the UK. As a consequence, door and window manufacturers must apply CE marking to any of their products which are covered by BS EN 14351-2:2006. Rest assured, all relevant Fireblock doorsets are CE marked in compliance with this standard and for any future standards that may come into effect.